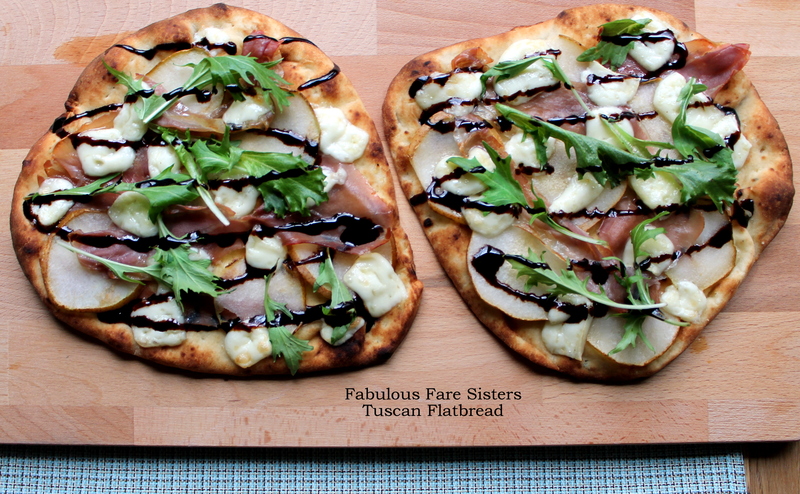 Flatbreads are so delicious! Here’s one that’s topped with the flavors of Tuscany…sweet ripe pears, freshly sliced Prosciutto and creamy Brie drizzled with a tangy Balsamic Glaze….baked in the oven for just a few minutes….what a wonderful quick, easy and very tasty lunch or dinner! Heat oven to 450°F. Drizzle the olive oil on the flatbreads. Layer with the sliced pear, Prosciutto and Brie. Place on a baking sheet and bake in the heated oven for 5-7 minutes. Remove from the oven and top with arugula. Drizzle with Balsamic Glaze. Slice and serve immediately. Delicious!! This recipe has been shared at Senior Salon, The Pin Junkie, Funtastic Friday and Fiesta Friday…go check it out and then visit some other great sites! 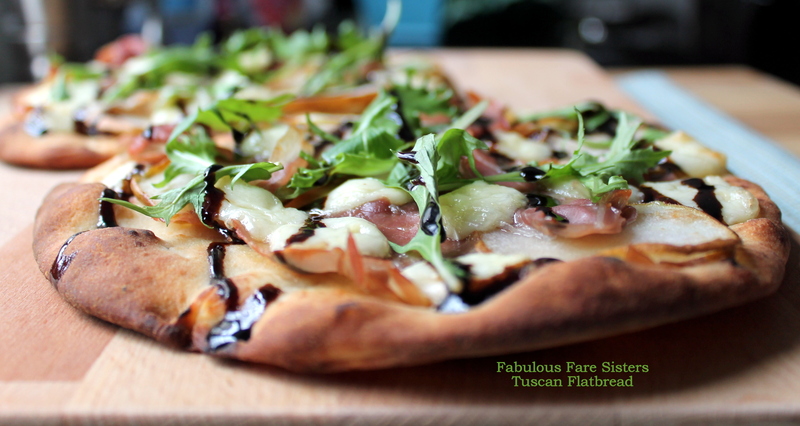 What a delicious way to jazz up a simple flat bread with so much flavors! Thanks for sharing it here at FF! Oh, Linda, yum! 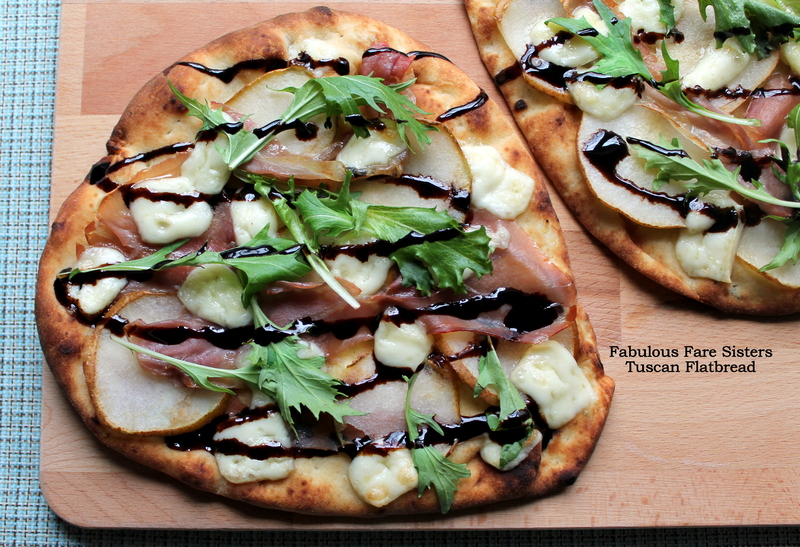 I just happen to have pears ready to eat and arugula & Prosciutto – it seems like I’m meant to make this! Now to find the Brie!! Yeah, but brie sounds best, lol!! Love flat bread. Thanks for sharing! Pears and prosciutto are so good together! yum!!! I love a flatbread and the flavor profile you picked sounds delicious! This looks perfect for a quick and fun Friday night meal. Thanks for sharing, Linda. Lovely combo of toppings Linda – these would be a winner for the Italian in me! I love that balsamic drizzle! Your flatbreads look amazing Linda! Looks incredible. I like the Brie with Proscuitto! What a wonderful flavor combination, with the sweet and salty. 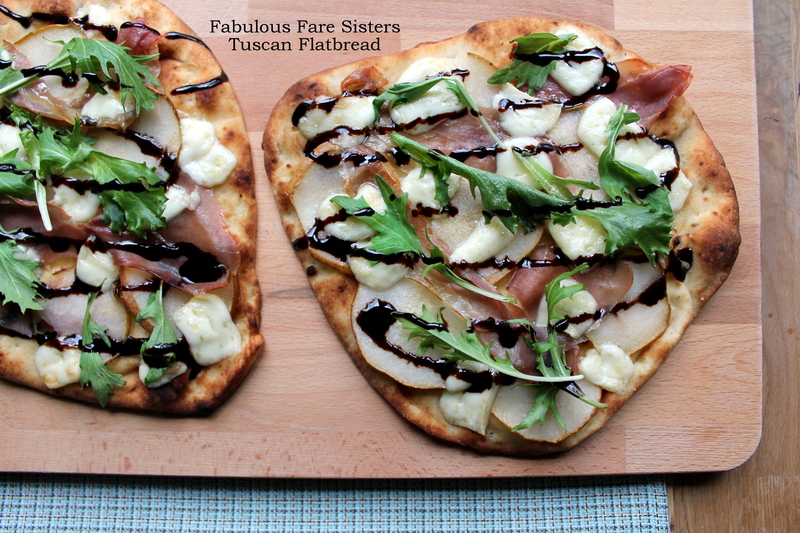 Love flat breads too, will definitely give this a try. This looks soooo delicious! What a wonderful combination of flavors. Thanks for the great recipe. You are so welcome! Your posts make me immediately hungry!! Flatbreads are my favorite and this one looks like a keeper.